VNRE – Ending the first quarter of 2012, the real estate market continued challenging the tolerance of investors, especially in the housing segment. The market is supporting end-buyers as housing prices are still on the downtrend and investors paying closer attention to customer requirements. Vietnam Business Forum summarizes the main events of the real estate market in the first quarter of 2012. In the first quarter, the apartment market witnessed slow offering from investors. The supply was quite limited, with only 1,100 units, compared with 25,000 units in 2011. Not only buyers but investors are in a “wait and see” mode, pending market developments. 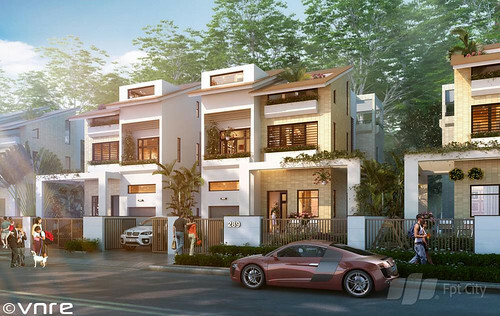 New buyer-catching projects are mainly for low-income earners in Hoang Mai, Long Bien, Tu Liem and Cau Giay districts, Hanoi. For the quarter, many projects were delayed or suspended although investors had sold apartment units to customers while many other projects still ensured construction progress although it was a bit slower. This highlighted business ethics and confidence of investors. According to CBRE Vietnam Company, a property consultant and researcher, in 2012, the supply was forecast to reach 20,000 units. However, the real supply may be much lower if present market conditions keep lacklustre. The economy is showing signs of recovery; hence, the secondary price downtrend will slow down. Customers distrust investors’ ability to complete their projects, making construction progress and quality the top determining factor. For this reason, sale is better when the projects are nearing the final stage. 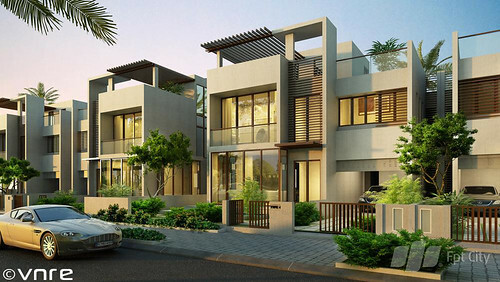 Price decrease, despite lower than in the past quarter, remained at 5 – 10 percent. The degree of price reductions depended on construction progress. Newly constructed projects saw a 5 percent rebate, even 10 – 15 percent in some projects. Meanwhile, prices were slightly changed in completed projects. However, compared with rates in the first or second quarter of 2011, secondary prices in all projects slid 20 – 50 percent. Buyers continued to wait because they expected further fall and they only looked for projects developed by reputable investors. Mr Richard Leech, Managing Director of CBRE, said the housing demand of end-buyers needs to be tested. Till now, the effect of recent interest rate cuts remains vague on the property market. In the first quarter of 2012, the office market had no new supply, total supply stably approximated at 985,000 m2. The Hanoi office market remains positive signs. Typically, the total newly rented area was over 14,000 m2, a high demand. Vacancy ratio fell to 25 percent from 30 percent in the previous quarter. According to statistics, nearly 390,000 m2 of office space are expected to enter the market in 2012. Experts said that rented area will hit a refresh record in 2012 although vacancy rates and supplies continue to rise. In the western area, prices are forecast to slide to let more while owners in the downtown will not compete in price. In addition, investors will also apply more strategic steps. For new projects, investors can apply more competitive price policies for tenants and brokerage units. For old projects, they will focus on restoring and upgrading. After the special fourth quarter with three large commercial centre projects brought into operation, adding 109,500 m2 to the market, there were no new projects inaugurated in the first quarter of 2012. 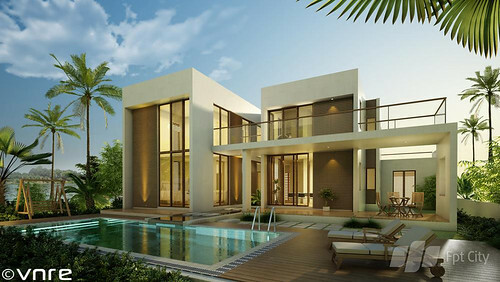 The total supply stood at 250,000 m2. Occupancy rates across the market slightly slid although there were some big tenants like Home Entertainment Centre and New Cinema because their leased spaces belonged to others earlier, or from newly operated projects like Vincom and Centre Long Bien. In the downtown, the vacancy rate in the business centre was 5 percent, down 0.6 percent from the previous quarter, while vacancy rates out of the business centre was 14.9 percent. In the downtown, rents are quite stable because vacancy rates are unchanged. However, rates in non-business districts decline because of a rise in vacancy rates. 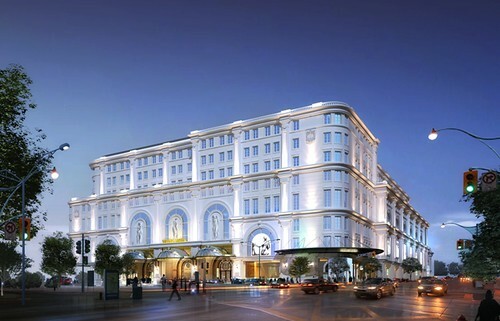 Keangnam Landmark 72 opened in January 2012 with 378 serviced apartments for the area west of Hanoi. 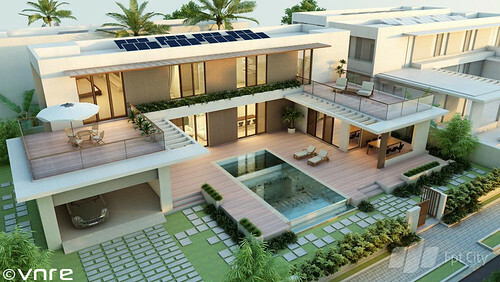 With this huge supply, the project has offered attractive incentives and promotions for customers. While rents offered by most investors were almost unchanged from the previous quarter, some projects, especially those in the west, were ready to negotiate rental prices to catch the attention of with customers in the face of competition from serviced apartments of Keangnam Landmark 72. Occupancy rate reached 81 percent, a slight increase from the previous quarter. 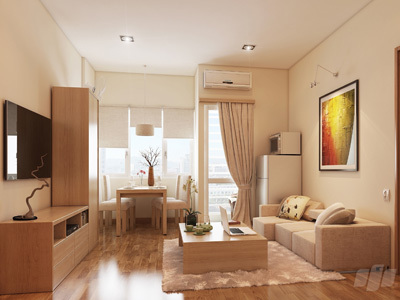 Customers are interested in serviced apartments in the western region because many companies rented offices here. VNRE – Mr Vikrom Kromadit, the founder of Thailand’s Amata Corp, said that the industrial zone infrastructure developer will continue investing more in Vietnam after some success of Amata IZ project in Dong Nai province. He made this statement on Mach 28 in Dong Nai on the occasion of his Asia caravan to Thailand, Laos, Cambodia, Vietnam, China and Mongolia. He also confirmed Amata is pursuing a new industrial urban development project with large scale in Long Thanh, Dong Nai without detailed elaboration on the project. In an interview with Saigon Economic Times Online, Mr Huynh Ngoc Phien – General Director of Amata Vietnam JSC spoke that the above project with total area of 1,300 hectares and estimated investment capital of US$20 billion will be defined by Dong Nai municipal governance in next month. US$500 million of US$20 billion will be invested for infrastructure as from 2013. Amata will call for investors to develop each item of the new industrial urban development project. Mr Phien expected the industrial urban development project will be more modern than the existing one in Thailand. Amata Vietnam JSC is a joint venture between Bien Hoa IZ Development Co and Thailand-based Bangpakong Industrial Park 2 Company. Amata has invested total US$60 million in Vietnam. 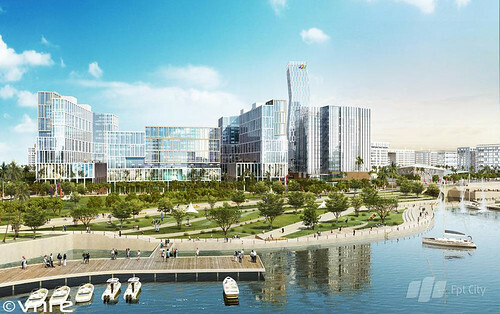 VNRE – Lavenue Crown project, located in HCMC’s commercial district and comprising a commercial center, five-star hotel and serviced apartments, will start construction in the third quarter this year, according to investors. 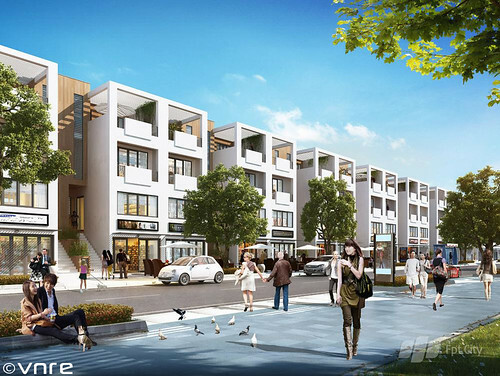 As one of three investors of the project on Le Duan Boulevard in District 1, Tran Le Nguyen, managing director of Kinh Do Corporation (KDC), was speaking of this plan at a shareholders’ meeting last weekend. 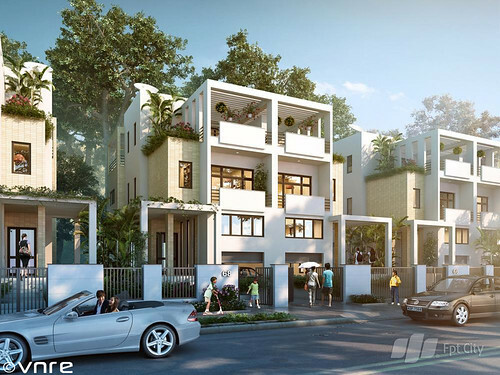 The Lavenue Crown project is developed by Lavenue Investment JSC, a joint venture between KDC with a 50% stake, HCMC Housing Management & Trading Co. and Mayflower Investment Co. The project will be built on 4,900 square meters in a prime location near the city’s landmarks like the Notre Dame Cathedral and the French-built Post Office. The 36-storey building, which has total floor space of 66,000 square meters, is set for completion by 2014. 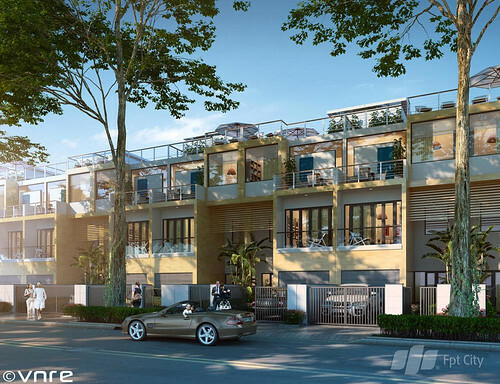 VNRE – On April 26, Bitexco has officially introduced the implementation of the project named The One Ho Chi Minh City at No.1 Pham Ngu Lao Street, Nguyen Thai Binh Ward, District 1, Ho Chi Minh City with total investment capital $ 500 million. Mr. In-Suk Ko, chief executive officer of Bitexco, said: The One Ho Chi Minh City will be ground breaking on April 27on a land area of 8.600 m2, gross floor area is 195,000 m2. The project includes the functions of the trade center, office, serviced apartment and 6-star standard hotel named Ritz Carlton. The One Ho Chi Minh City includes two towers which are connected by the shopping centre at the podium. The 55-storey West Tower (240m) contains office floors in the lower half and a hotel in the upper half. The 48-storey East Tower contains the office in the lower floors of the tower, from the 24th floor to 48th floor is the area of ​​the Ritz Carlton hotel. The architectural design has a cultural context as it refers to the Vietnamese myth of the Two Dragons. The podium represents the coiled tails, while the two dragons rise from the land. The cantilevered tops represent the dragon’s heads. The glass cubes are figurative depictions of Vietnamese pearls in the mouths of the dragons. The image will provide a powerful reminder to current and future generations of both the Vietnamese myth and the symbolic representation of the city’s fame as the ‘Pearl of the Orient’. 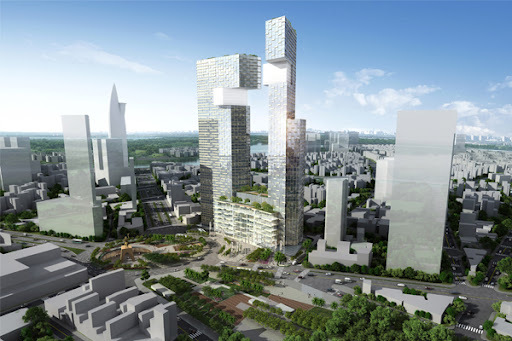 When completed, The One Ho Chi Minh City, with its iconic design and strategic location, will represent the new and dynamic Vietnam and will be a new city landmark. 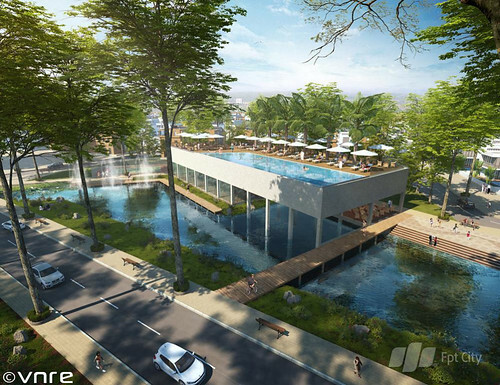 The One Ho Chi Minh City will be completed and put into operation in late 2015. 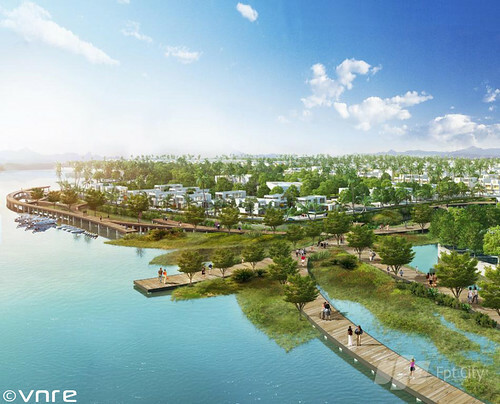 VNRE – Alongside the romantic Co Co river toward the South-East of Danang City in Hoa Hai Ward, Ngu Hanh Son District, FPT City Da Nang is invested by FPT City Da Nang Joint Stock Company and covers an area of over 181 hectares. 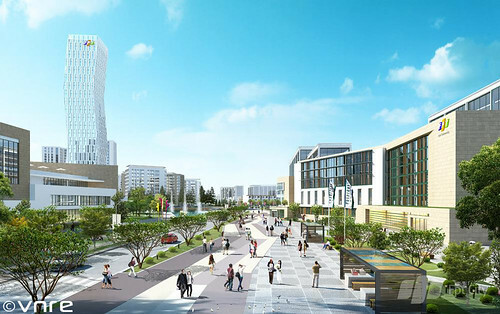 The project is designed to be the first smart and green urban environment in Da Nang and the central region based on FPT’s strength in technology and is built with a long term vision of sustainable city following international standards. FPT City Da Nang is aimed to be a modern urban development with complete social infrastructure including commercial complexes, office towers, hotel, shopping streets, entertainment facilities, schools, international hospital… A wide choice of modernly designed residential houses such as townhouses, apartments and luxury villas of various sizes and at reasonable prices are offered at FPT City Da Nang. This eco-smart city in the dynamic and green Da Nang City promises to be not only a great place to live and relax but also offer great investment opportunities. VNRE – FPT Smart Nano Flat is high-quality apartments are designed, intelligent management and is located in an ideal location in the heart of FPT City Danang Urban. On April 21, Deputy Minister of Construction Nguyen Tran Nam, visited project and Smart Nano Flat. 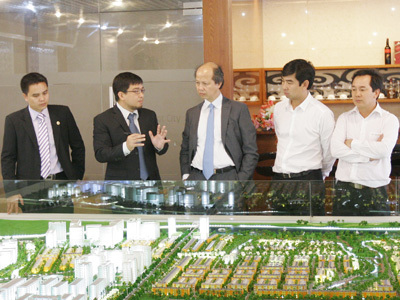 General Director of FPT City Danang JSC Bui Thien Canh introduced Deputy about this high quality apartments. 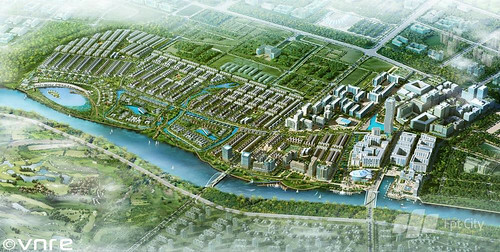 FPT City Danang project has a total area of 181 hectares was built in Hoa Hai Ward, Ngu Hanh Son District, Da Nang City. 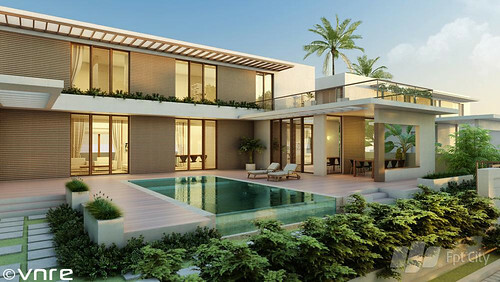 As planned, this will be an urban area with complete infrastructure including office buildings, commercial – services, schools … and the housing products such as townhouses, villas and high-quality FPT Smart Nano Flat. 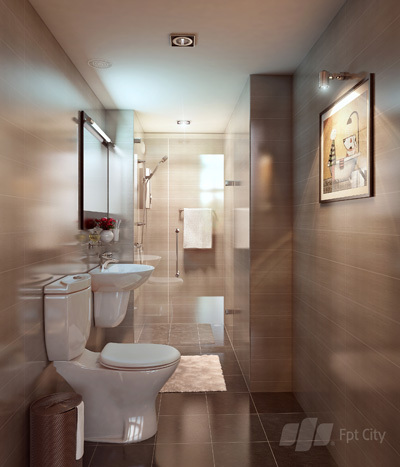 FPT Smart Nano Flat has an area from 25 to 50 m2 (can increase the area under the demand of the buyer) is built fully functional use of quality standards as the current luxury apartment. As planned, the condominiums will be 10-15 storey building with over 10,000 apartments of all kinds. Early in 2013 the buildings will be officially built and the first apartments will be completed and handed over in 2015. FPT Smart Nano Flat is located in an ideal location in the heart of urban FPT City Da Nang, only 10 minutes from the Danang City Center and Da Nang international airport by the car, near schools, hospitals, sport center, offices, large parks and public services. Customers can own a FPT Smart Nano Flat based on income from steady work without bank loans. Time payment for each unit can be extended to a maximum of 5 years and get home before paying off without the mortgage. Especially, FPT staffs want to buy apartment, they will be entitled to incentives. Registration time is from now until June 30.